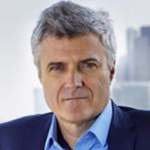 WPP chief Mark Read is expected to slash 3,500 jobs as part of his three-year "radical evolution" plan to bolster growth at the beleaguered ad/PR conglom by repositioning it as a streamlined creative technology company. The firm will take a $375M restructuring charge that is promised to result in $350M in annual savings by 2021. The reorg will involve office shutdowns, "right-sizing of under-performing units," establishing a shared services infrastructure and development of "campus co-locations." No further elimination of brands is anticipated following the dropping/merging of the J. Walter Thompson, Young & Rubicam, Wunderman and VML names. Half of the restructuring savings, according to Read, will be plowed back into WPP as it renews its commitment to creativity, with a focus on the US, and technology. He told investors the communications sector faces "structural change, not structural decline." WPP's revamp is "adapting at speed to capture these opportunities and to become even more client-centric." Read's WPP will have a "refreshed brand identity" created by its Landon and Superunion units. As a "creative technology company," WPP will be a simpler operation focused on communications (PR, advertising, content, media, PA and healthcare), experience, commerce and technology. Experience, commerce and technology currently generate 25 percent of WPP revenues. Read, who took over following the April ouster of WPP founder Martin Sorrell, expects 2018 like-for-like revenues will decline by 0.5 percent. He views next year as "one of investment in the business with the execution of our cost-savings program and further actions taken to return the company to long-term sustainable growth." Read warned that "previously announced account losses will create the anticipated headwind, particularly in the first half of the year."